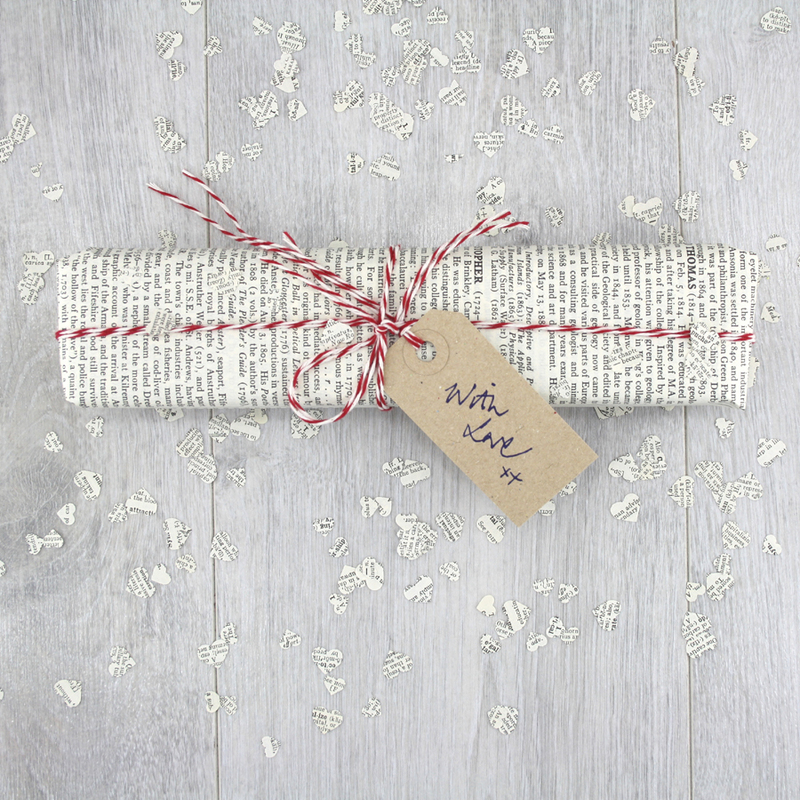 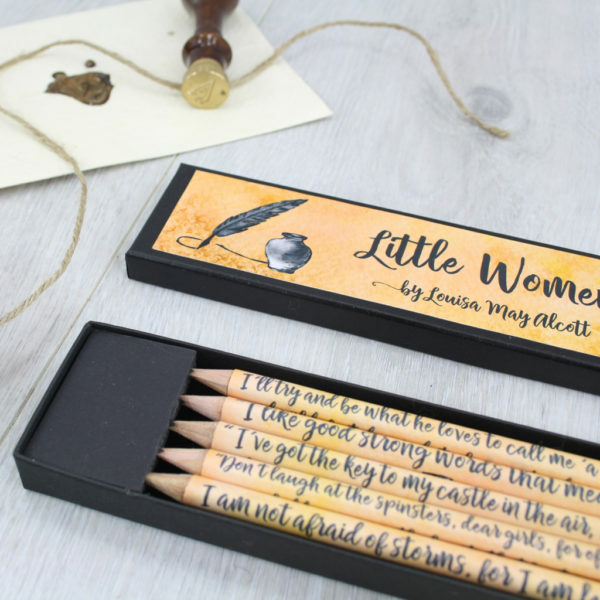 The perfect literary gift for fans of Little Women. 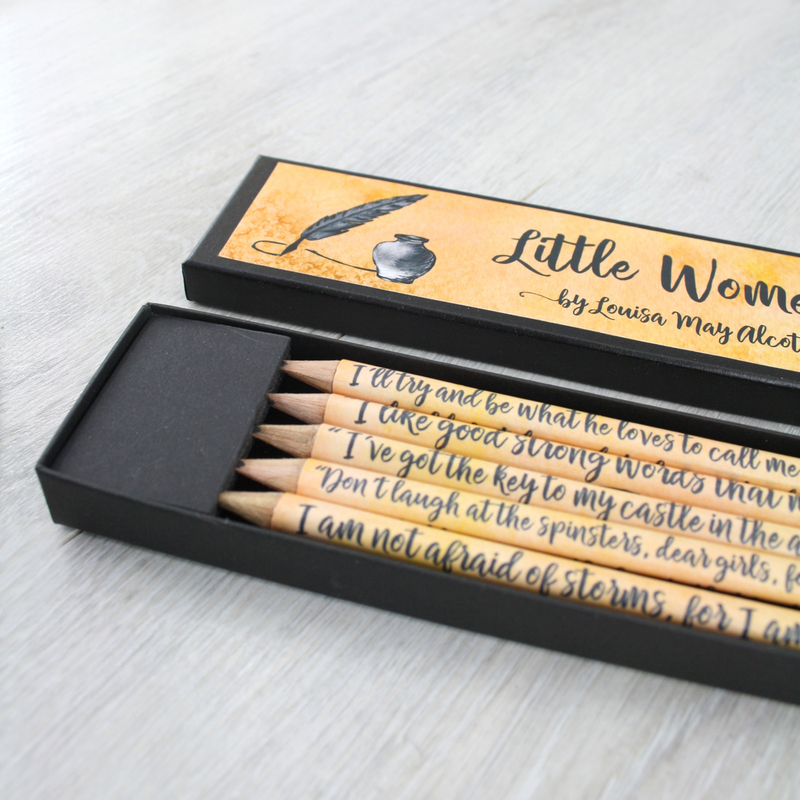 This set of five book pencils each have a different quote from Louisa May Alcott’s novel on them. 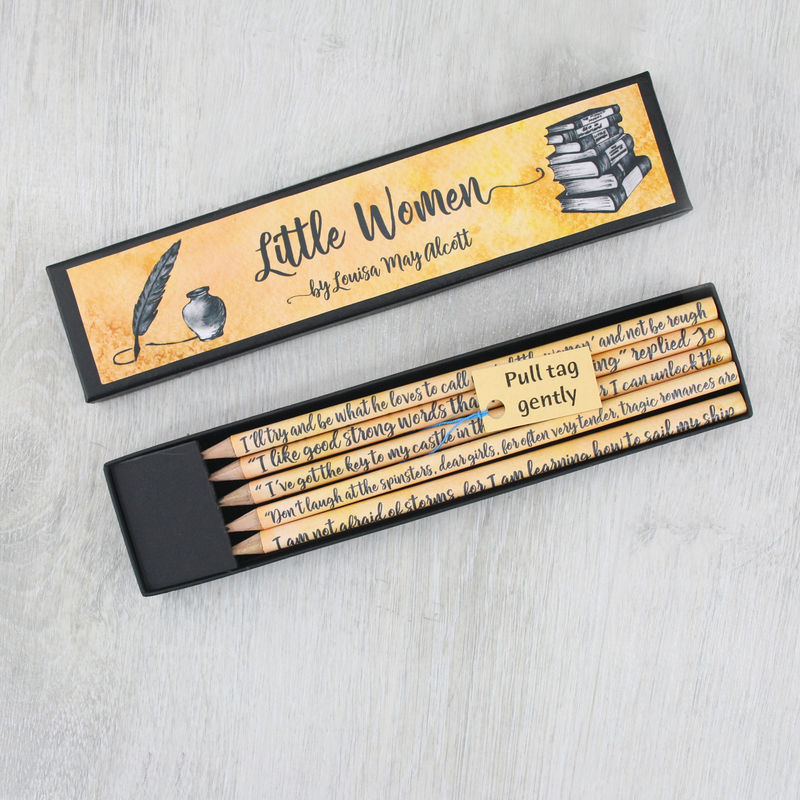 Full of inspirational quotes for girls this pencil set is an ideal birthday gift for a reader, young or old. 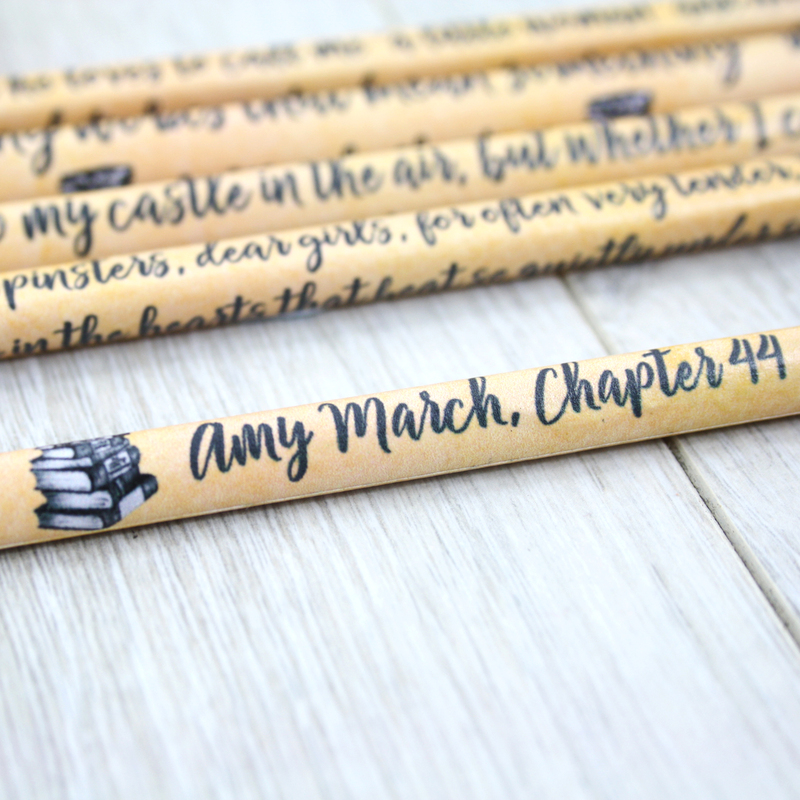 Join us as we follow the story of the March girls as they experience love, loss, friendship and adventures. 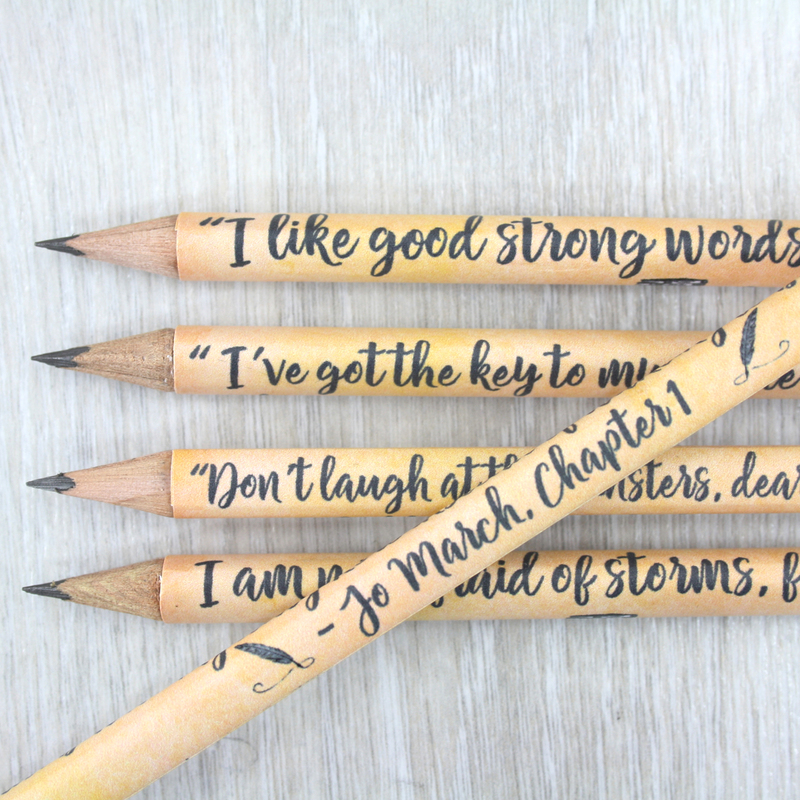 This set of book pencils each has a different quote in the novel on it. 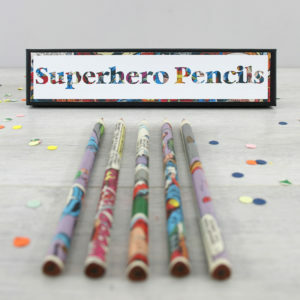 This pencil set would make a beautiful gift for your best friend on their birthday or Christmas. 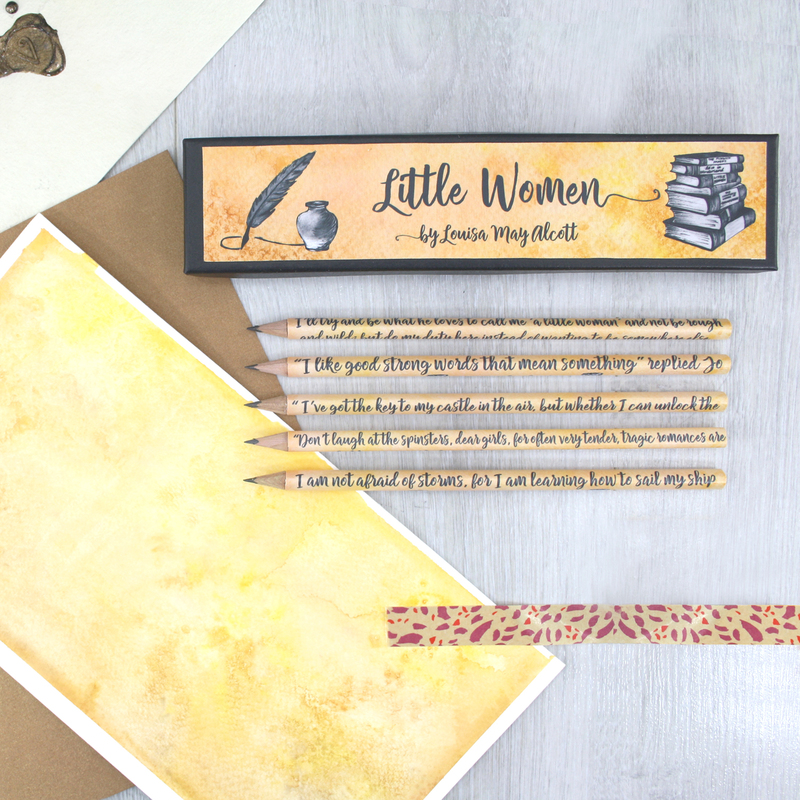 It is filled with wonderful inspirational quotes for girls, for the next generation discovering a love of Louisa May Alcott’s timeless novel. 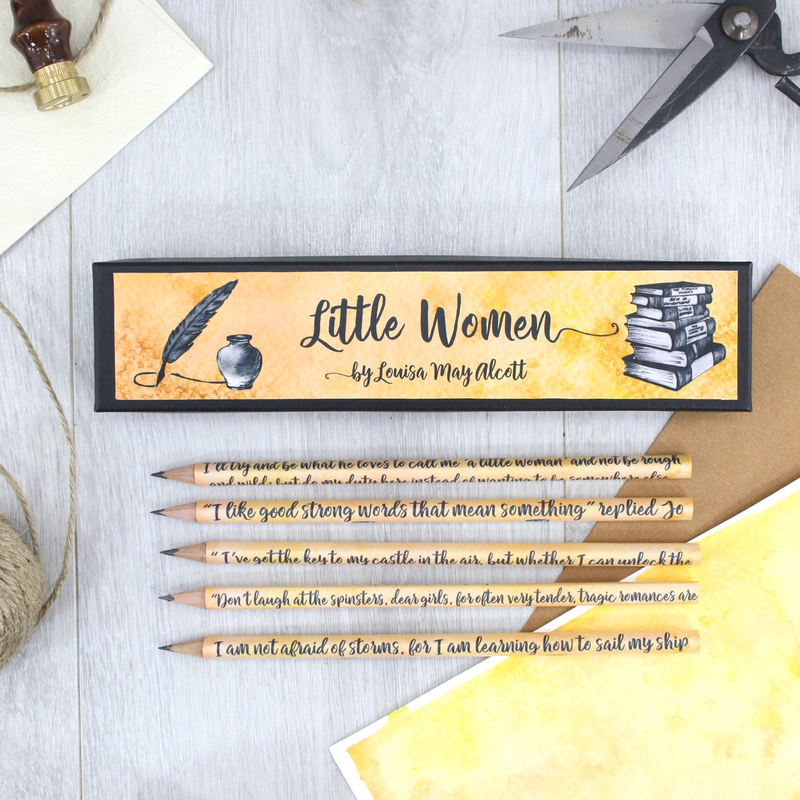 I have chosen five quotes that tell you the story of Jo March and her sisters as they grow from little women into adults. 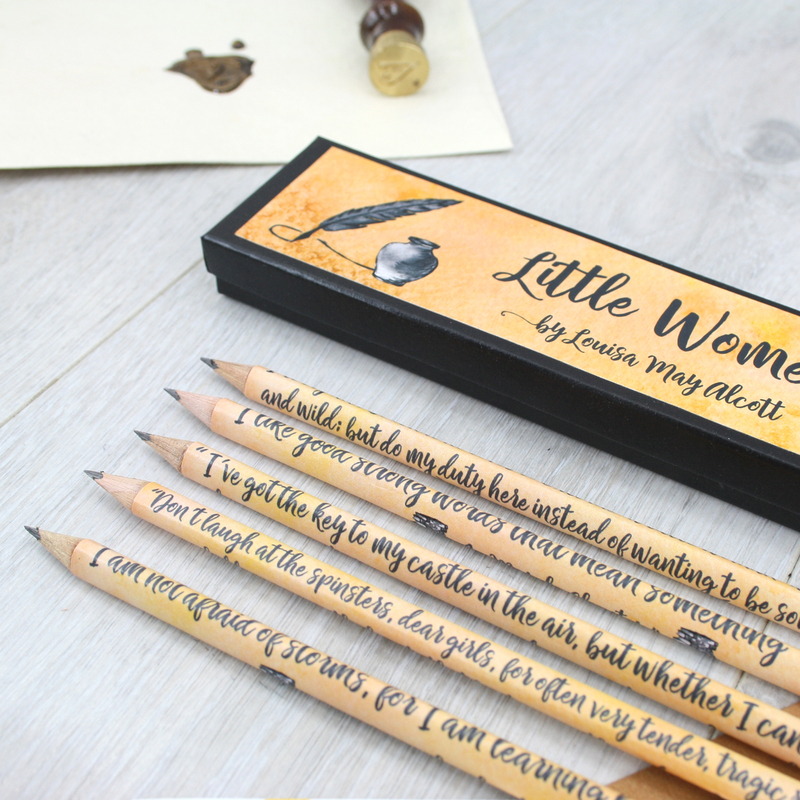 One of my favourite novels as a child, Louisa May Alcott’s novel filled many a childhood afternoon. 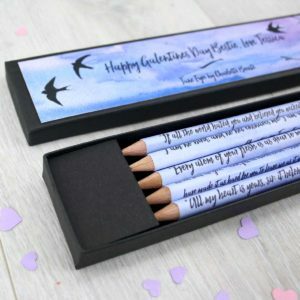 The artwork for the gift box and the pencils is an original design, created by starting with a watercolour artwork and pen and ink sketches. 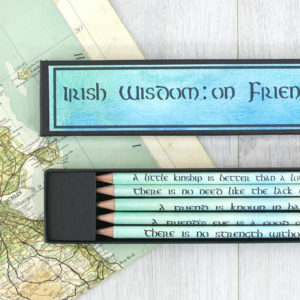 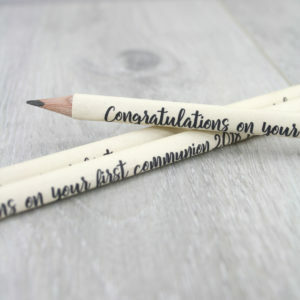 These were then digitally edited to create this set of five quote pencils.